PUBLIC SERVICES are held throughout the year and open to all. For the public, a service is held every Sunday morning at 11 AM. In addition, the public is welcome to attend the community worship and meditation periods each day in the Temple. Morning Service begins at 8:30 AM; Midday at 12:30 PM and Arati (Vespers) at 5:00 PM. Special holy days are observed throughout the year. Announcements are posted on the Upcoming Events page of this website. Membership at the ashrama is a spiritual affiliation. There are no dues or pledges. Anyone who finds in Vedanta an answer to spiritual need becomes a member by support and faithful attendance at our services. The ashrama is a non-profit organization and gratefully accepts all offerings, contributions and volunteer help. Reverend Mother Sudha conducts guided retreats and classes when she is in residence. For those who have been attending services regularly, arrangements can be made for individual retreats at Paramananda House. We have simple, comfortable guest quarters for those staying overnight or longer. Staples are provided, but guests are responsible for their own meals. Retreatants participate in the worship and work life of the resident community, as well as having time for quiet reflection on the grounds. From time to time, we offer organized weekend retreats. Those will be announced. 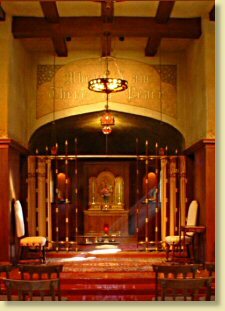 The resident community is composed of women monastics and householder men and women who share a daily routine of three periods of worship, prayer and meditation, selfless service and spiritual study. Women who are interested in living a life of religious consecration at the ashrama need to be in good health physically and psychologically. As followers of Sri Ramakrishna, we follow the Path of Devotion. However, this includes a full day of service, participation in daily community worship, meditation and spiritual study. The first years of training take place in Cohasset. Our lending library specializes in literature of and about India, with its main emphasis on all of the world's religions. For a minimal fee, library members are welcome to check out books from our valuable collection. "I came because I had something in my heart, the same thing which had brought me all the way from India: an earnest desire to share with others the message of love, unity and tolerance which lies at the root of all Vedanta Teaching."